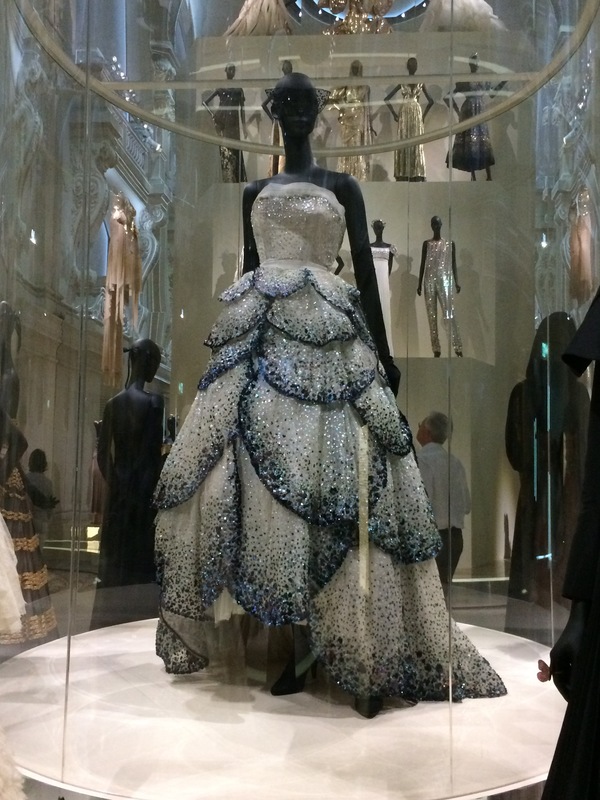 One of the added benefits of being in Paris during the latest couture week was having the opportunity to view this historic look on display at the opening of the spectacular new fashion exhibit celebrating the Dior legacy: Christian Dior: Couturier du Rêve at the Musée des Arts Decoratifs. 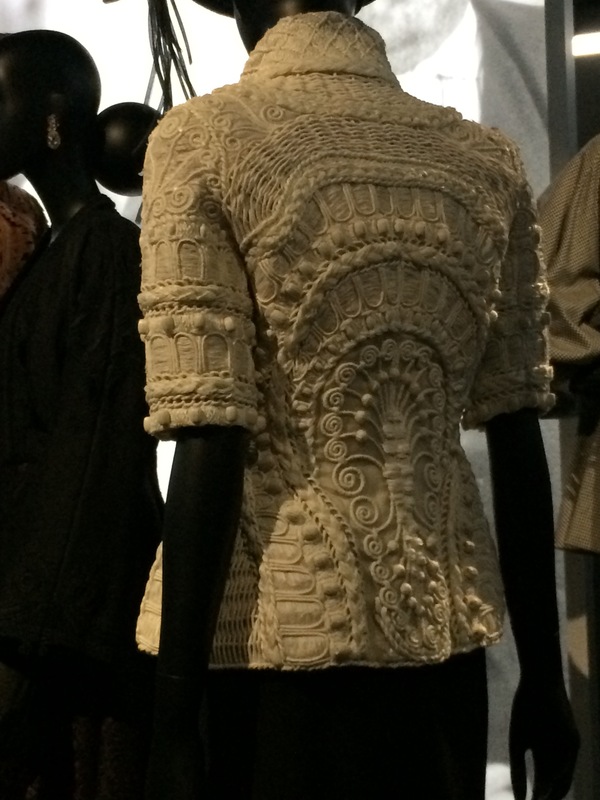 The exhibit highlights a range of issues pertinent to understanding the legal aspects of the fashion industry, from the impact of public policy and government action on design innovations to the interplay of fashion, art, nature, and technology. 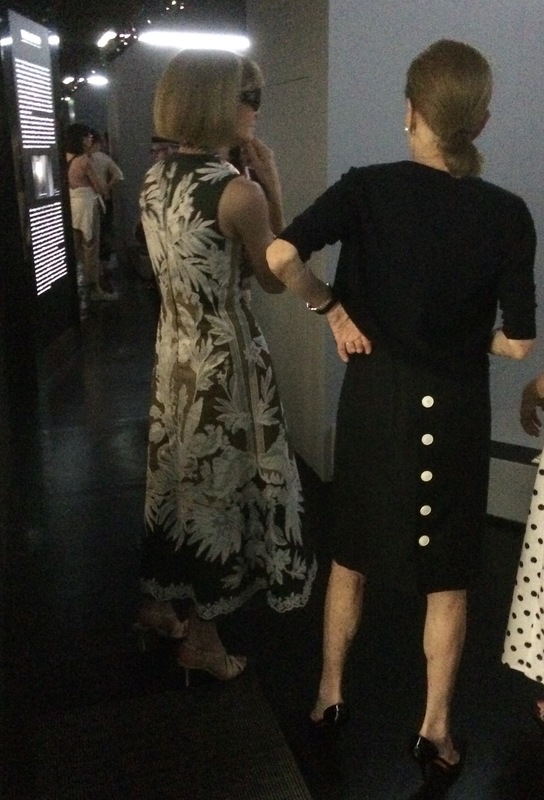 Above: Anna Wintour contemplates the early work of Dior's protege and chosen successor, Yves Saint Laurent. One historic example of the interplay of law, culture, and fashion is the iconic design featured above: the Bar. 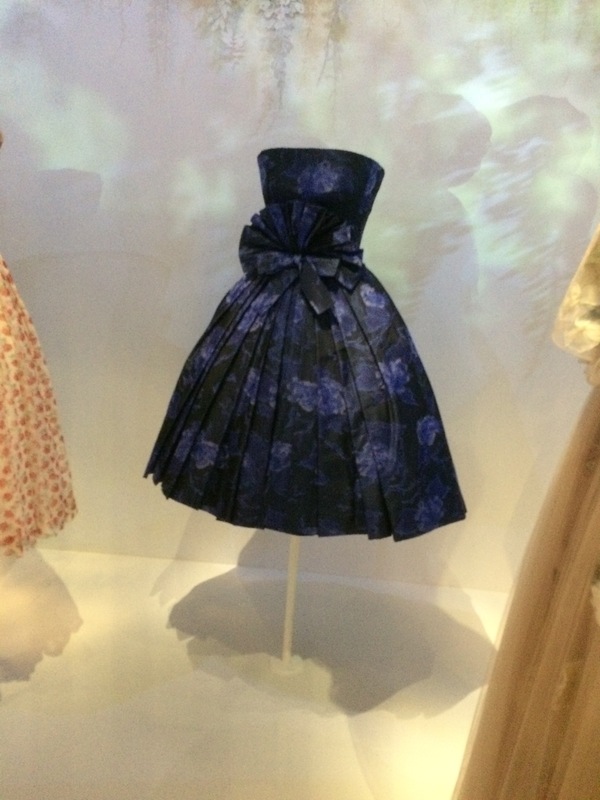 In 1947, Dior's celebrated New Look swept a fashion world coming out of World War II, a time when both the visual form and material content of fashion had been constrained by wartime austerity and textile rationing. 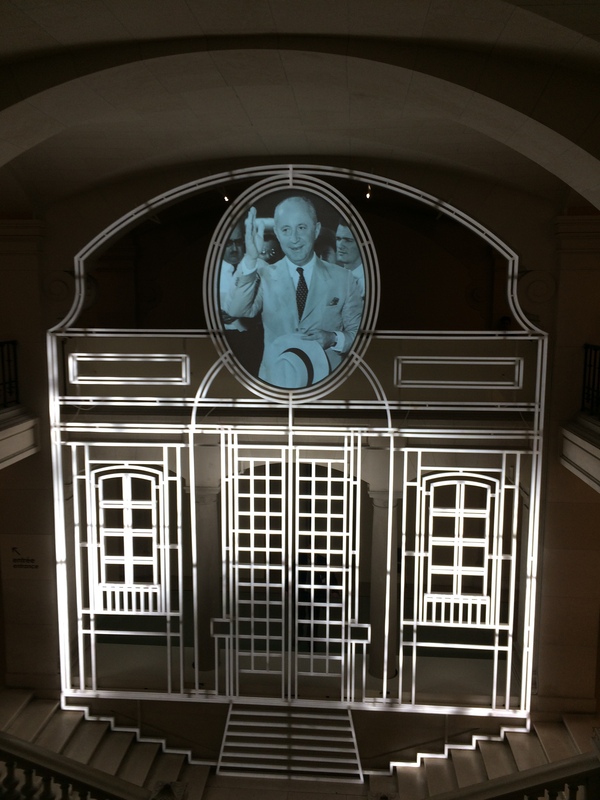 The exhibit further highlights how Christian Dior's pre-fashion career in the art business immersed him in the world of surrealism and modernism, which in turn gave Dior a heightened sense of structure and form. 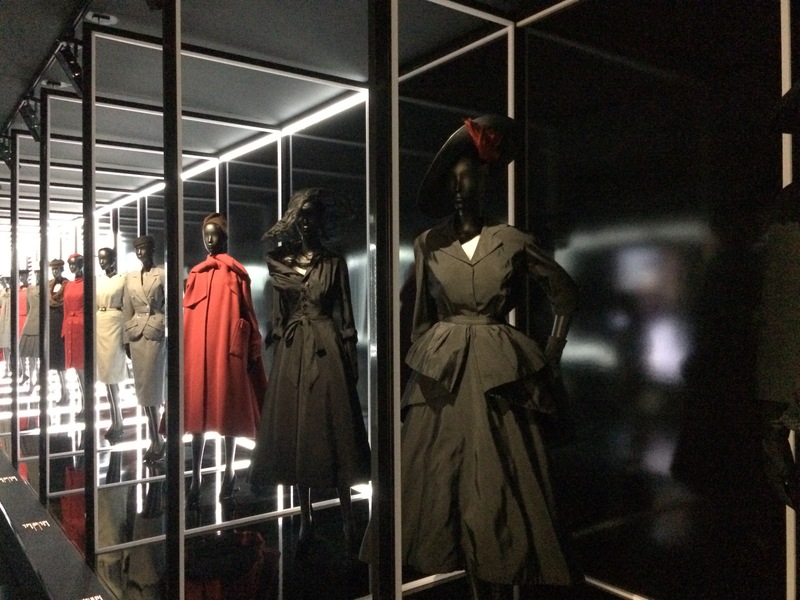 Of course, Dior's work inspired a number of copies around the world. Some were officially licensed. 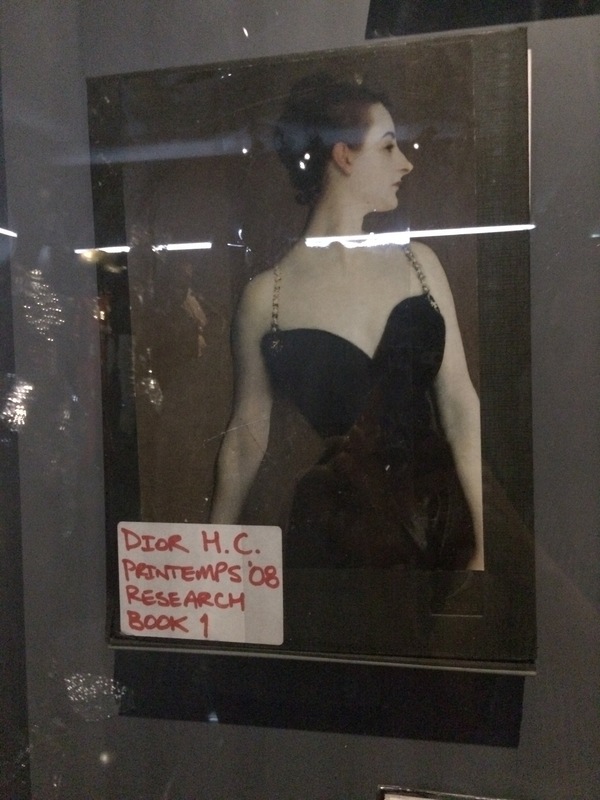 Others, such as the items depicted in the above 1960 ad from Alexander's department store, were not, leading to lawsuits that did not always work out in Dior's favor. 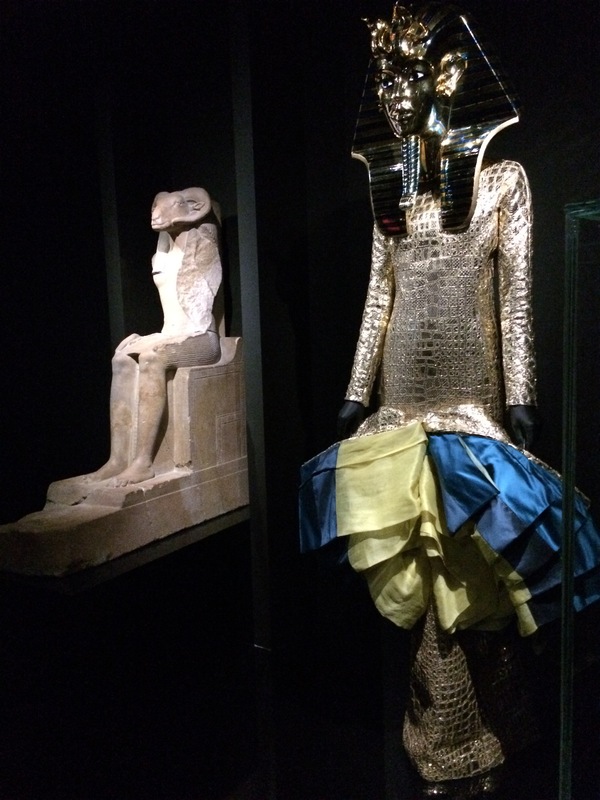 The exhibit also explores fashion's interplay with technology and nature. 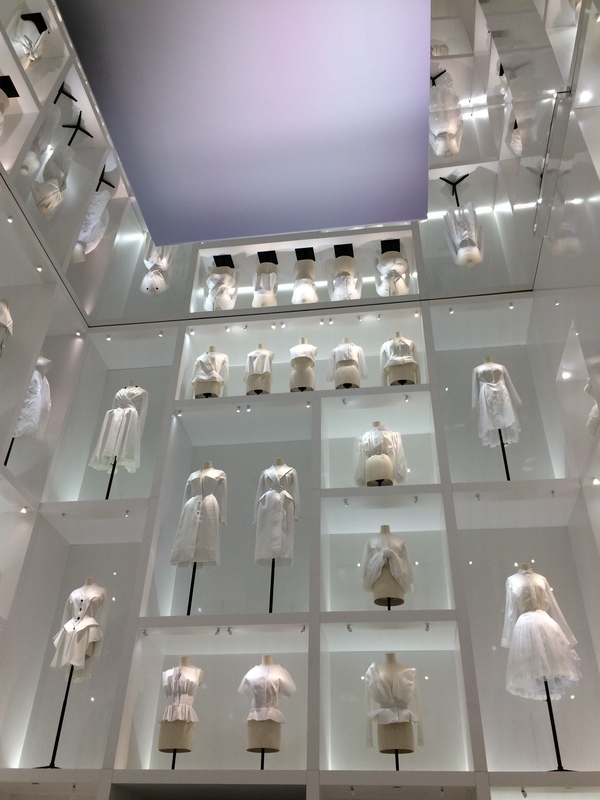 One impressive display shows iconic photos of Dior's designs that dissolve into the dresses themselves. 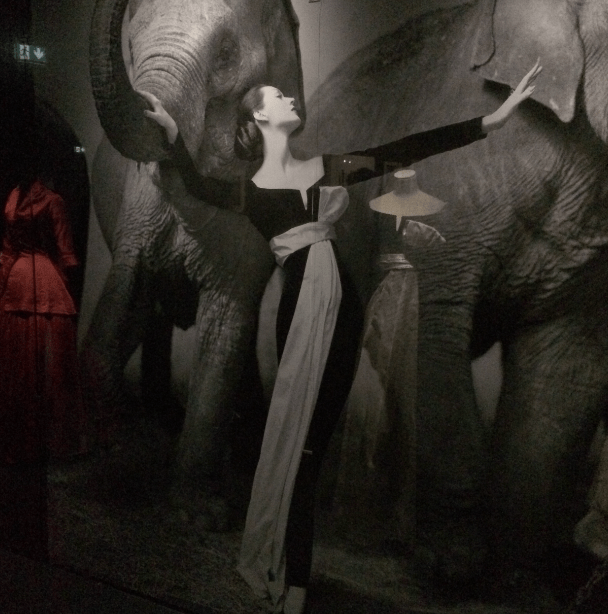 The image below captures the transition with Richard Avedon's historic Dovima with Elephants. 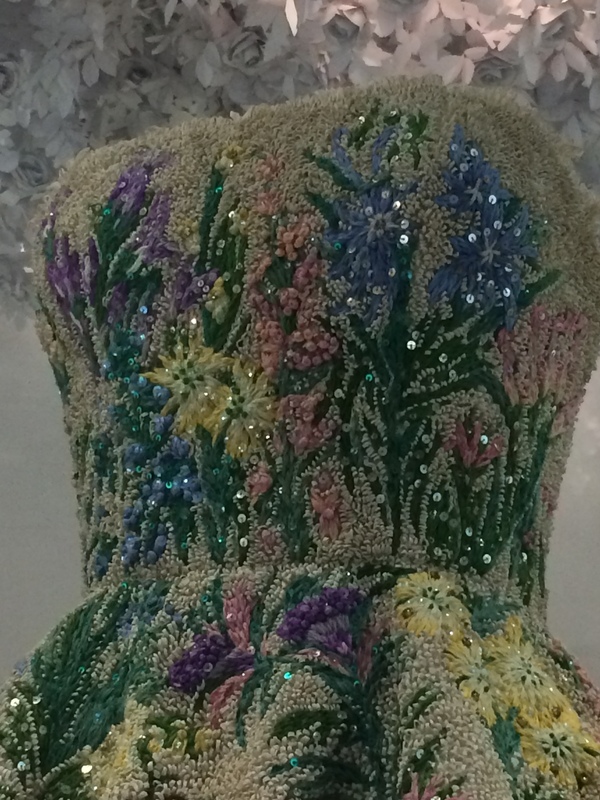 Biomimetic design, which takes direct inspiration from nature, is itself the central theme of the section dedicated to Dior's garden. 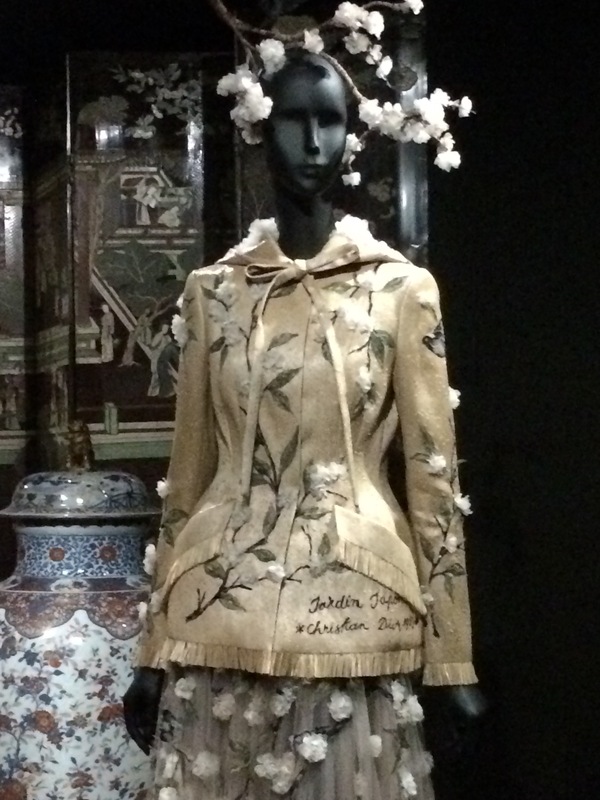 Not only does this part of the exhibit explore how flowers guided both the shape of and prints on his designs, but it also points to the work's continued influence. 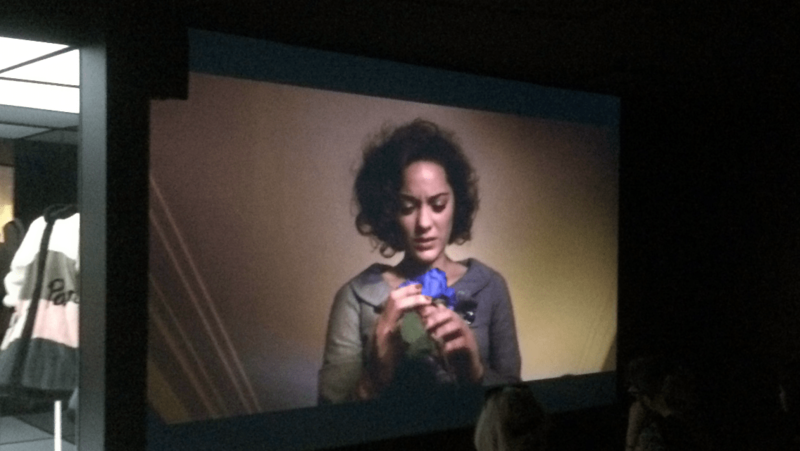 Case in point: the connection between Dior's blue rose dress and David Lynch's short film in which Marion Cotillard discovers a Twin-Peaksian blue rose in a mysterious Dior bag. 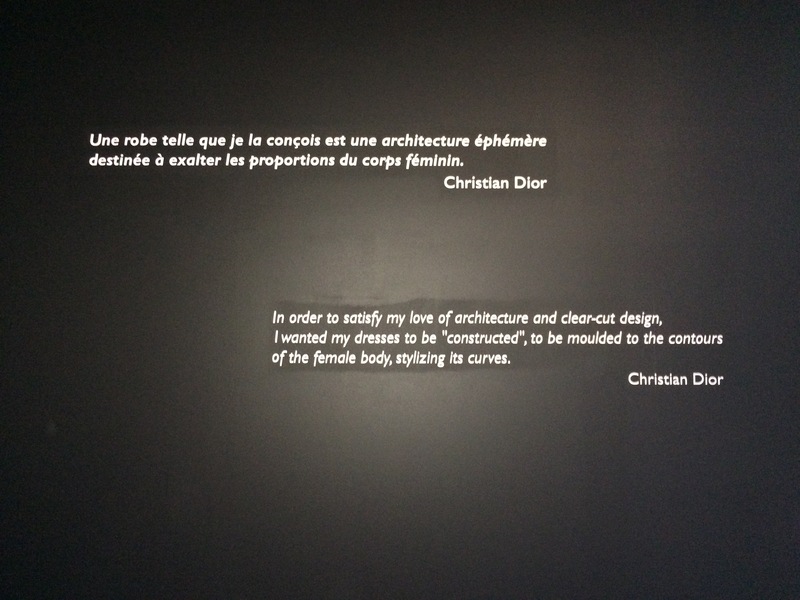 Below: an example of Dior's interaction with global culture -- in this instance, Egypt. 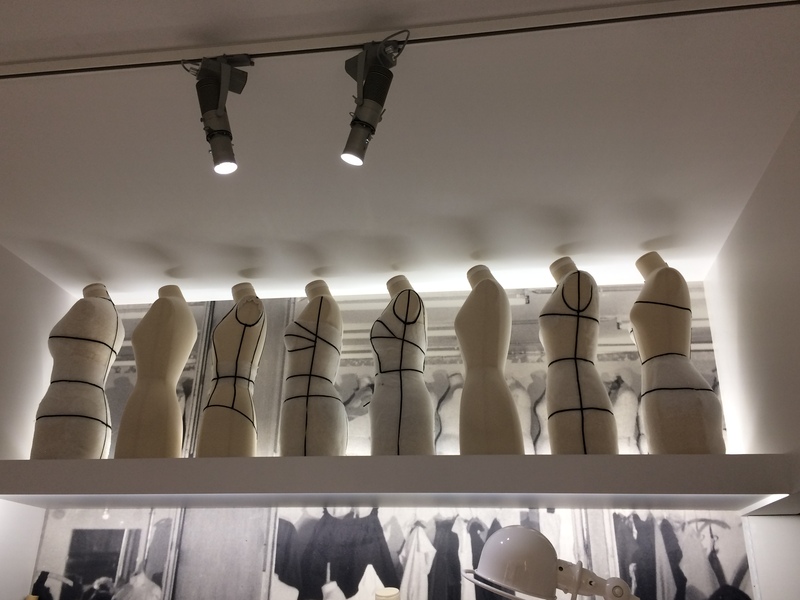 Another fascinating aspect of the exhibit is its exploration of the Dior atelier, from sketches and inspiration books to a truly unique opportunity to discuss the Dior couture process in action. 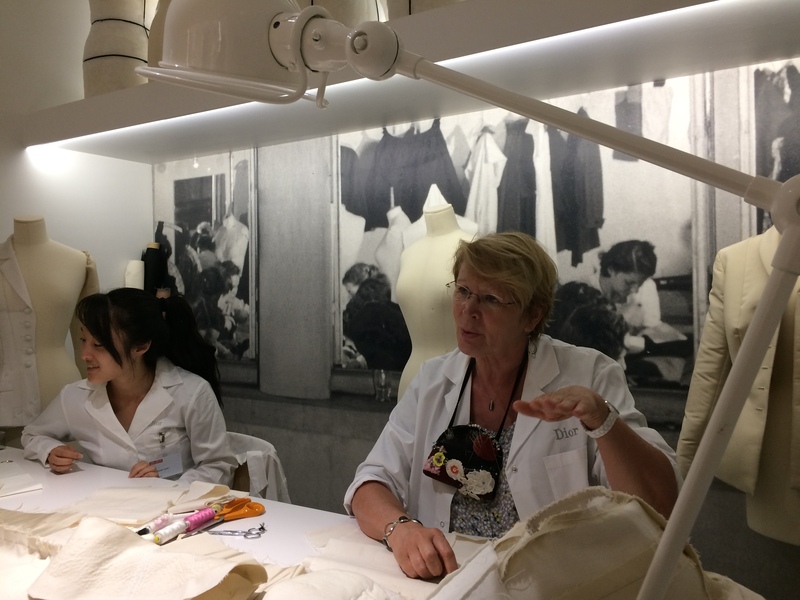 The presence of the atelier illustrates how the exhibit does not merely look to the brand's past -- it also takes you through the history of the entire brand. 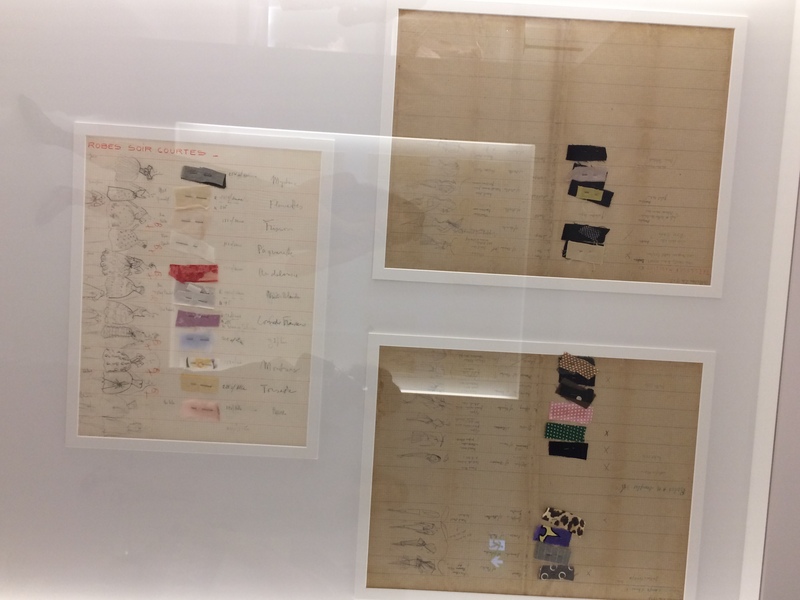 There are sections dedicated to various Dior designers, the brand's perfumes and accessories, and its philosophy of what we would now call cross-platform brand identity. One particularly noteworthy feature is the room that takes you from the New Look to the present day in a single sweep. 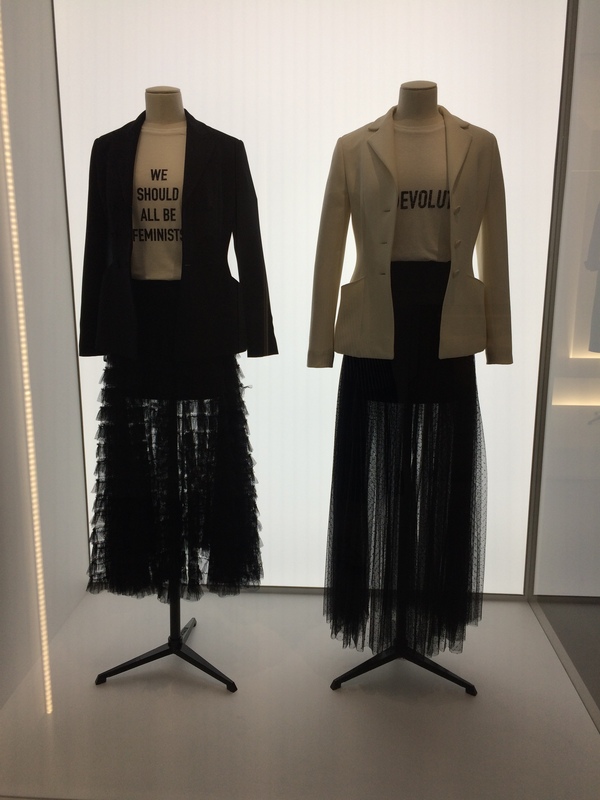 All in all, the exhibit provides a forum for reflecting on a fashion as art -- and in the words of Marshall McLuhan, as a technological extension of our evolving selves.